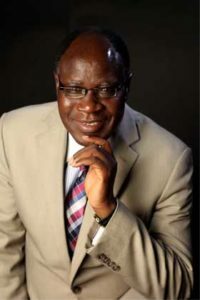 Dr. John Idowu is the founder and President of the Name of Jesus Ministries (TNJM), he is a minister of the gospel and the visionary of the Seed of Grace International college. He serves the will of God in this generation as Author, Teacher, Church Planter and Mentor. He is committed to bringing the good News of Jesus Christ to people all over the world, literally transforming the world one person at a time. He was a former University Don and a petroleum consultant with two national prizes from the Nigerian Mining and Geoscience Society. In the year 1987 while he was rounding up his PhD research in Petroleum Geochemistry at the University, he decided to seek the face of the lord as to know the mind of God for his life. The lord told him that he would be sending him to an unknown land so His name will be glorified. The lord told him that his time was up in his place of work and gave him a kingdom assignment - "to teach believers how to walk in truth, power and wisdom of God through the thorough and consistent teaching of God’s word." Dr John is known for his practical approach to the Bible, and has encouraged thousands to pursue a personal relationship with God. 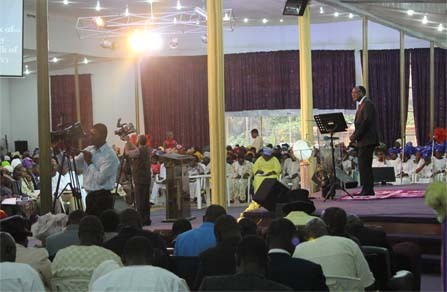 His daily Radio, “Hour of Power” and TV program "Divine Encounter" is heard across Africa, Asia and Europe. He is also the publisher of the popular book “THE HEALING JESUS". He is married to Rev. Mrs. Mary Idowu, his co-worker in the vine yard and they are blessed with children.